Solid maple wood sustainably sourced and responsibly harvested from American Forests. Made by a master craftsman, using methods handed down from father to son for generations, this collection will become a treasured heirloom within your family. Once the craftsmen have finished hours of labor intensive sanding, it is stained a rich lustrous color to enhance the wood grain. 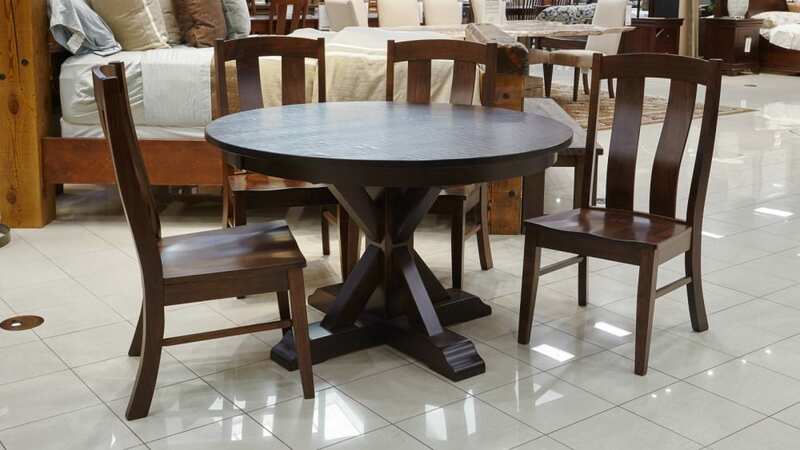 The Albany Side Chairs made using solid American Maple wood and built using mortise & tenon construction for generational strength.The design features multiple ergonomic back slatsto provide back support while sitting and a sculpted seat to promote comfort for meals with family and friends that you wish would never end.